Making a donation to Akiba Academy is easy. Donations can be made by phone, mail, or online. All gifts are tax deductible. Registered MyBackPack Users Click HERE. Non-Registered MyBackPack Users Click HERE. 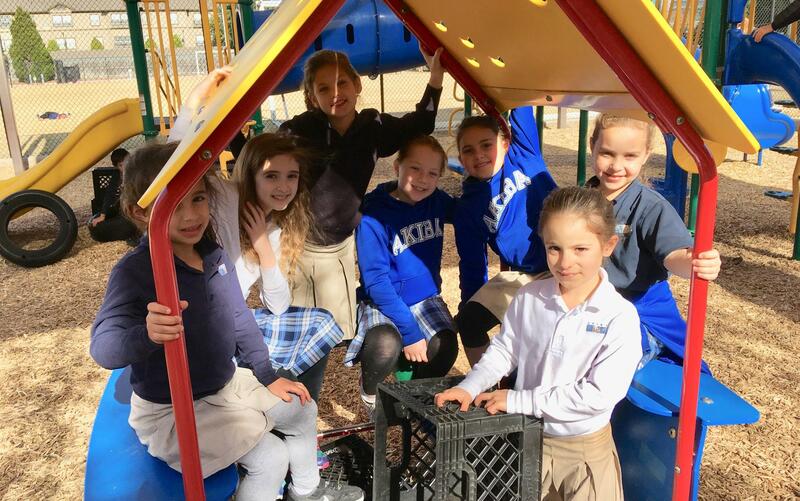 The Akiba Fund, the School's Annual Fund is a yearly appeal for contributions to help bridge the gap between tuition and actual operating expenses. The Annual Fund is an essential component of our school’s financial base and the largest source of unrestricted dollars that can be used to support our growing needs. Please refer to the Akiba Fund page of this site for further information. An endowment is truly a gift that keeps giving and is a wonderful way to establish a legacy that will support the school for generations to come. The income is generated from these funds is used to support projects designated by the donor. Endowed gifts can be made in a variety of ways. An endowment may be created by outright gifts over a number of years or created through bequests (designate a portion of your estate to Akiba for a specified purpose, such as financial assistance, professional development, and programming). Gifts of $25,000 and more can be considered for a named fund. Life Insurance Policies - Take out a policy for Akiba or donate policies whose protection you no longer need. Charitable Residues - Leave the remaining assets in your will to Akiba. Unitrust - Pays a per cent of the trust each year of your life. Akiba is the recipient of the remainder at the end of the trust. Charitable Lead Trust - Lending part of your estate to a trust now and the income goes into a fund you set up at the school for a specified time period. Some of these options offer tremendous financial and tax advantages to the donor. Ask your accountant or attorney how you can maximize your tax benefits while ensuring the future for Akiba. A tribute donation offers you a thoughtful way to celebrate a simcha or express your sympathy while contributing to Akiba’s mission to provide a superior general and Judaic education. An acknowledgement of your donation will be sent to the honoree or the family of the person you are memorializing. Please refer to the Tribute Funds page of this site for further information on our various funds. Contact the Development Office to make your gift today at 214.295.3400 or development@akibaacademy.org.